SCVHistory.com AA7402 | Valencia | Henry Mayo Hospital Board Thanks Ex-Newhall Land President Tom Lowe, 1974. One of Lowe's biggest contributions to the hospital was his recruitment of the Lutheran Hospital Society to organize and operate it. Lowe was president of Newhall Land at a transformative time in the history of the company and of the Santa Clarita Valley. Not only did he open the first homes in Valencia in 1967 and establish a water company to serve it, but together with then-CEO Jim Dickason he also set into motion the institutions a self-contained community would need, including a modern nonprofit hospital, two institutions of higher learning, a county government center and a major amusement park that would give many young people in Valencia and the rest of the valley their first jobs. 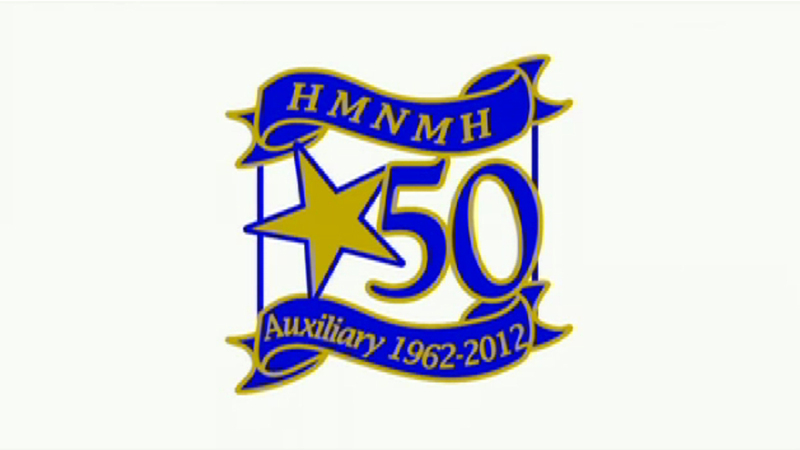 About Henry Mayo Newhall Memorial Hospital. By the mid-1950s, longtime company chairman Atholl McBean knew it no longer made sense for The Newhall Land and Farming Co. to continue to farm its 40,000 acres, especially considering Los Angeles County's growth-inducing tax policies that made it impractical to farm developable land. An aging McBean recruited a new generation of savvy businessmen to spearhead development of a complete, self-contained new town to be called Valencia. Three in particular provided the skillset that the agribusiness lacked: Jim Dickason, head of the San Francisco-based White Investment Co., which was the successor company to Henry Mayo Newhall's widow Jane's holdings, and the largest shareholder Newhall Land, which was still entirely family-owned; Doug Sutton, a San Francisco architect who lived in Palo Alto; and Thomas L. Lowe, a mid-50s recruit from the Los Angeles-based Pacific Mutual insurance company, who already had a successful career in real estate investment and mortgage lending. Lowe took the reins as president of Newhall Land on Jan. 1, 1965, at the unheard-of salary of $70,000 a year plus stock options. Dickason, then CEO, negotiated with the state to add offramps between Lyons and the Saugus road (later called Magic Mountain Parkway), where the state was already replacing old Highway 99 with Interstate 5. 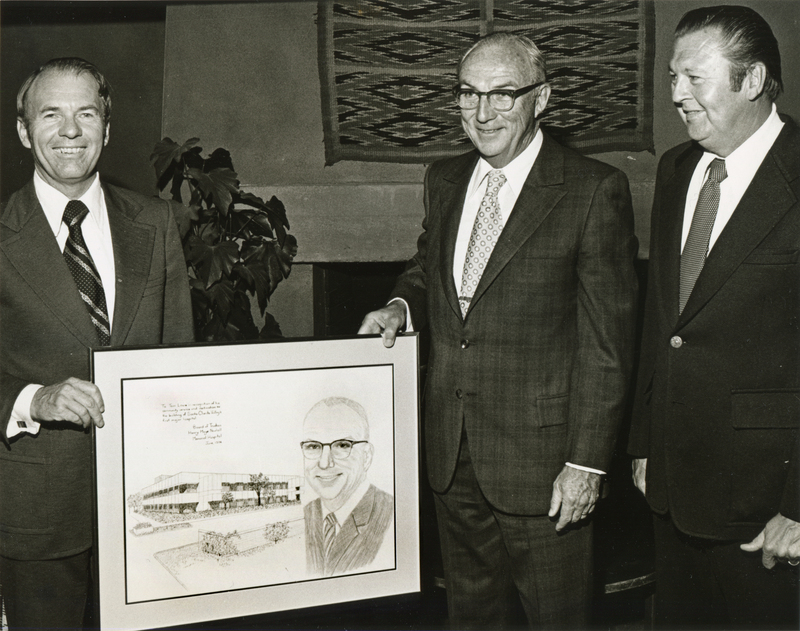 Dickason hired Robert Trent Johnson to design the Valencia Country Club ("Big V") golf course and negotiated with Sea World to build the Magic Mountain amusement park to entice people to the new town. With the California Department of Water Resources getting ready to use acreage in Castaic as a catch basin for state project water, Lowe organized the Valencia Water Co. to deliver the water to home buyers. Determined to supplant the doctor-owned hospitals in Newhall and Saugus that were too small and antiquated to serve the population he envisioned, Lowe recruited the nonprofit Lutheran Hospital Society to organize a modern, accredited, nonprofit community hospital, and he waded through the bureaucratic morass to get Henry Mayo Newhall Memorial Hospital off the ground. On the financial side, Lowe's background in real estate investment told him that in order to raise sufficient capital for such grandiose development plans, Newhall Land would have to go public. The idea met strong resistance from McBean  but McBean was dying from cancer. McBean acquiesced to an analysis by an ouside consulting firm that reached the same conclusion. On Dec. 3, 1968, the company directors  eight family members and six others including Lowe and Dickason  voted to take the company public. McBean was too ill to attend the meeting and 12 days later he died. He was 89. A majority of the family's stock (including White Investment Co.'s) ratified the move and the following May 8, Dean Witter & Co. issued a prospectus offering 769,212 shares  just under 8 percent of the total stock  at $31 per share. On Nov. 26 of that year (1969) Newhall Land applied for SEC approval to issue $35 million in subordinated debentures payable in 25 years, of which $15,000,000 would be used to build Magic Mountain, $19,000,000 would finance other projects and the remainder would be used as working capital. The SEC gave the OK on Jan. 15, 1970. At the time, White Investment Co. owned 82 percent of Newhall Land and 29 percent of Newhall Land's outstanding shares, and White Investment was wholly owned by Newhall family members. On Oct. 26, 1970, Newhall Land was listed on the New York Stock Exchange as NHL. The following year, Dickason succeeded Lowe as company president, retiring in 1985 but continuing to serve on the board for another decade. AA7402: 19200 dpi jpeg from original 8x10 glossy print | Collection of Adrian Adams.